An additional raid in the Ramallah suburb of Beitunia led to the arrest of a Hamas terror group co-founder and Palestinian Authority lawmaker, Hassan Yousef. Palestinians clash with Israeli security forces as near Ofer prison near Betunia in the West Bank on Aug. 18, 2016. Photo by Flash90. (April 2, 2019 / JNS) After being attacked by violent rioters in the northern Jerusalem neighborhood of Kafr Aqab, Israel Defense Forces’ soldiers opened fire on Monday night, killing a 23-year-old Palestinian resident. 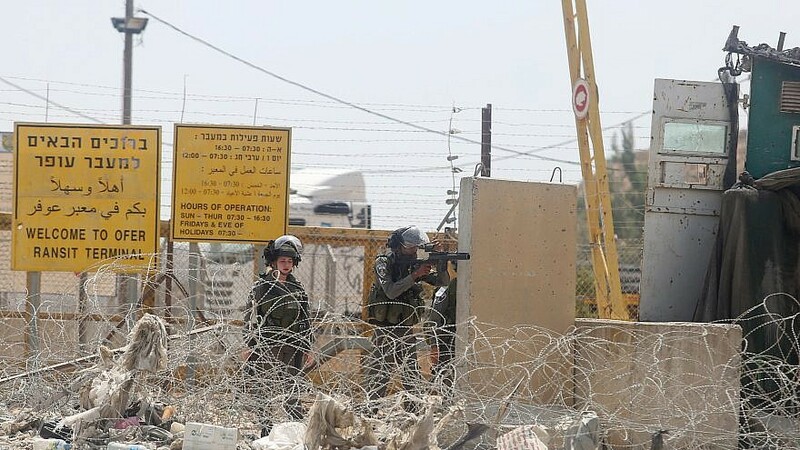 The IDF said it would examine the incident, which took place during an operation to arrest terror suspects. Soldiers were reportedly attacked with explosives and rocks, and ultimately opened fire, killing Mohammed Adwan. Three others were wounded and evacuated a Ramallah hospital. The IDF conducted additional raids in Beit Ummar in Gush Etzion, seizing a Carlo submachine gun. He subsequently fled to the United States, became a Christian, and wrote a book about his experiences, called Son of Hamas.